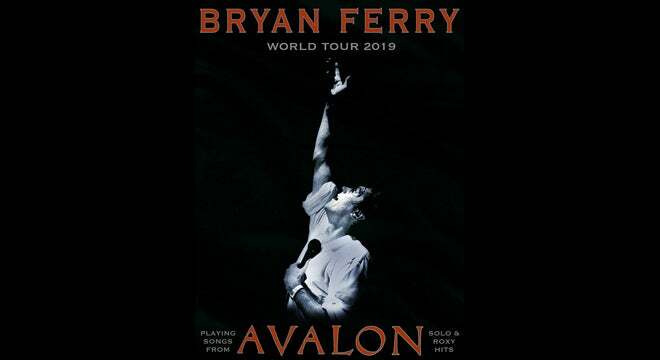 British music icon and soon to be inducted Rock & Roll Hall of Famer, Bryan Ferry has announced the U.S. leg of his brand new "2019 World Tour" – playing songs from Avalon, solo & Roxy Music hits – will visit the Fox Theatre in The District Detroit on Saturday, August 3 at 8 p.m. Since the release of his first record with Roxy Music in 1972, Bryan Ferry has been internationally acclaimed as one of the most innovative and stylish musicians, songwriters and singers to emerge in pop and rock music. Widely regarded as the embodiment of the glamorous and romantic worlds evoked by his songs, Ferry is also lauded as an icon of sartorial and personal cool. A former student of Fine Art, Ferry remains as involved in the visual aspects of his work as he is in the composition and performance of the music and has conceived and directed some of the most original, controversial and critically applauded album artwork of the last four decades. Ferry is an artist and musician that possesses the rare distinction of being regarded as both classic and timelessly contemporary – an accomplishment achieved by both his recordings with Roxy Music and the range and intensity of his solo albums.